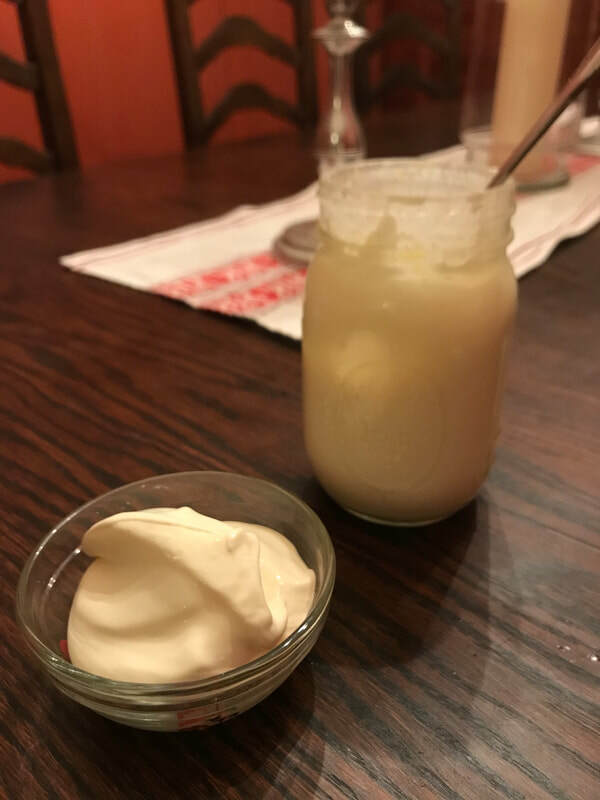 Live la bonne vie.... homemade crème fraîche. Step 1: Sterilize one or two 1 pint mason jars, depending on how much crème fraîche you want . You can boil them in water, clean them with a bleach solution, or clean them with Star-San cleaner. 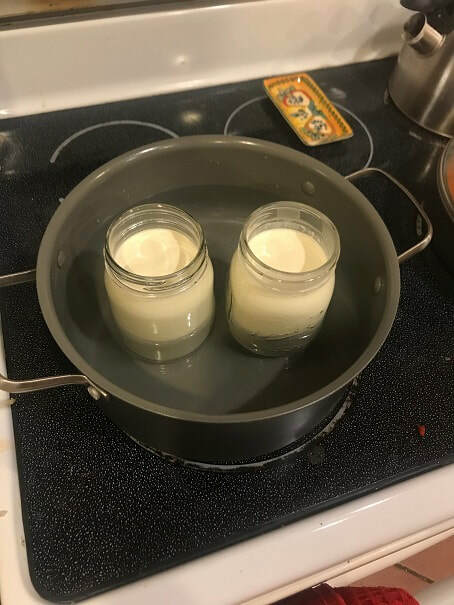 Step 2: Pour heavy cream into each jar, leaving a little head-room as shown below. If you have a source for raw heavy cream you could try that at your own risk. Pasteurized heavy cream would be great but is hard to find. Ultra-Pasteurized Heavy Cream is the norm in grocery stores, and that is what I use. Ultra pasteurized milk does not work for making cheese, so I was skeptical if it would work for crème fraîche but it did. I will keep looking, but have so far been unable to locate regular pasteurized heavy cream. 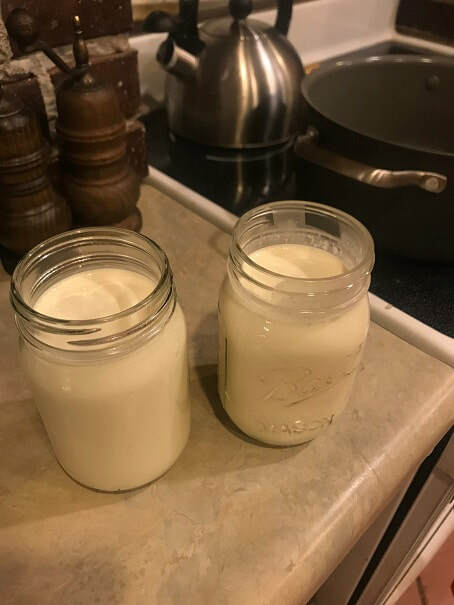 Pint mason jars, full of heavy cream, to start the process of making crème fraîche. Step 3: Gently heat the cream to 85 to 90 degF. You can use a water bath as shown below, in a pot, similar to pickling. Don't use high heat. Stop when the thermometer reads 83 or so and let it slowly rise so it doesn't pass 85 degrees by much. 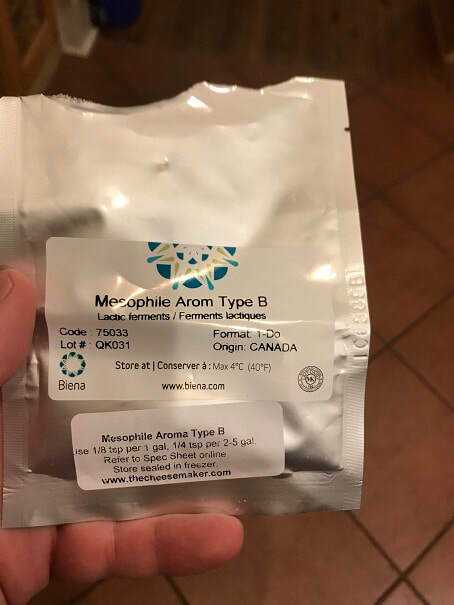 Step 4: Remove from heat, leave in the water bath, and sprinkle 1/8 teaspoon of Mesophilic Aroma B Starter culture on the surface of each pint of warmed cream. Let the starter culture (which is a powder) hydrate on the surface of the cream for 5 minutes, then whisk it into the cream by hand. Step 5: Lightly place the lid on the jar, and let sit at room temperature for 12 hours. Step 6: Screw the lid on tight and let sit at room temperature for 24 hours. Check it, and if it is nice and thick and can be scooped out with a spoon, it's done! Store it in the refrigerator. Yummy! 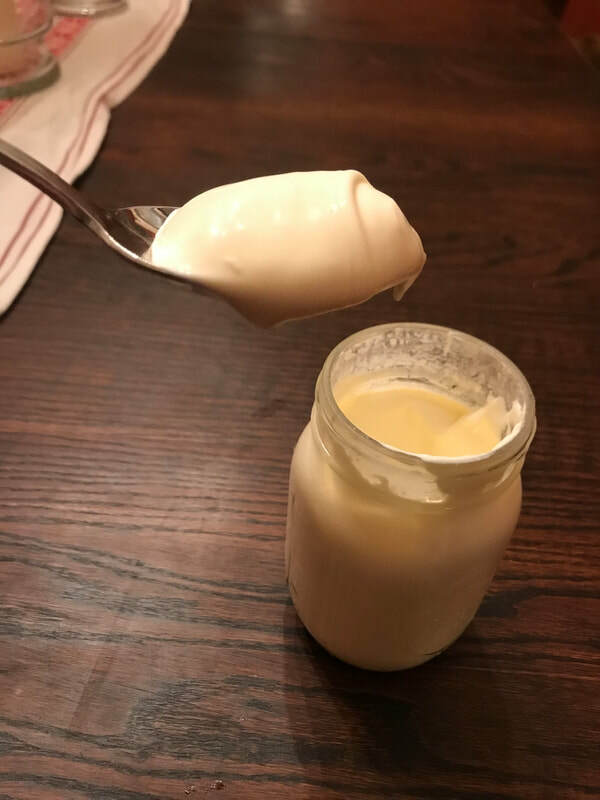 Fresh homemade crème fraîche.